In celebration to Mnet Asian Music Awards (MAMA) 10th anniversary, #LikeMAMA campaign has been launched today (23 October 2018) dedicated for all MAMA lovers to participate in dream and enthusiasm of MAMA. The first week of the campaign welcomes the global boyband, BTS who breaks worldwide records and continuously re-writing their own history. As the start of #LikeMAMA campaign, two video clips featured BTS's SUGA and V were published on 2018 MAMA official website. During the individual interview, SUGA and V shared their stories on how they successfully overcome their challenges and reached beyond goals at the same. SUGA and V further shared their future goals and also the new challenges they are facing. SUGA said, "It was scarier than happy to overcome a tough challenge with the achievements beyond the set of goals. It made me work harder with a sense of duty at Billboard Hot 100, The Grammys and more"
V, however said, "My biggest challenge and mission is to show new, different and exciting performances at every stage for our songs." Followed by SUGA and V, #LikeMAMA campaign will continue to share RM and Jung Kook's interviews on 24th October, lastly, Jin, J-hope and Jimin's interviews on 25th October. MAMA will continue to review interviews of other artists who have contributed to MAMA and music industry. From the interviews, the artists will share their own definitions and feelings for “Challenge”, “Passion”, and “Dream”, which are the themes of 2018 MAMA. V recalled in the interview, “I still remember the thrills and excitement on my first stage at MAMA.” Through their exclusive interviews, fans will be able to find out special meaning and diverse stories behind MAMA. In addition, MAMA offers an opportunity for fans to witness 2018 MAMA live. Among fans who share their own challenge, passion or dream in writing on social media platforms with hashtag #LikeMAMA until 30th November 2018, the one with the most votes will win 2018 MAMA ticket package (ticket and related expenses included). For more details of #LikeMAMA campaign, please visit 2018 MAMA official website(www.2018mama.com). 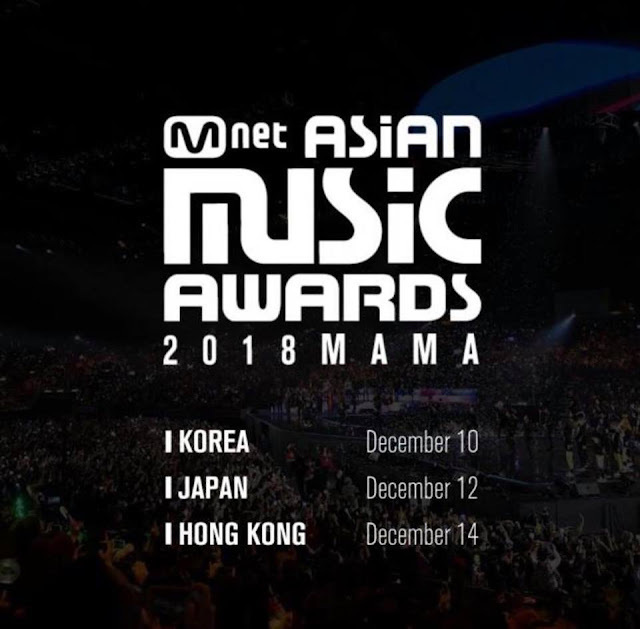 2018 MAMA will progress as “MAMA WEEK” starting off at Dongdaemun Design Plaza (DDP) in Korea as “2018 MAMA PREMIERE in KOREA” on Monday, 10th Decemeber. Then, it will move on to Saitama Super Arena in Japan as “2018 MAMA FANS' CHOICE in JAPAN” on 12th December. Lastly, it will be happening at AsiaWorld-Expo, Hong Kong as “2018 MAMA in HONG KONG” on 14th December. Fans can start voting for each category via the official website of “2018 MAMA”. Online voting will officially start from 6pm on Thursday, 1st November 2018 (KST) until 12 midnight on Sunday, 9th December 2018 (KST). 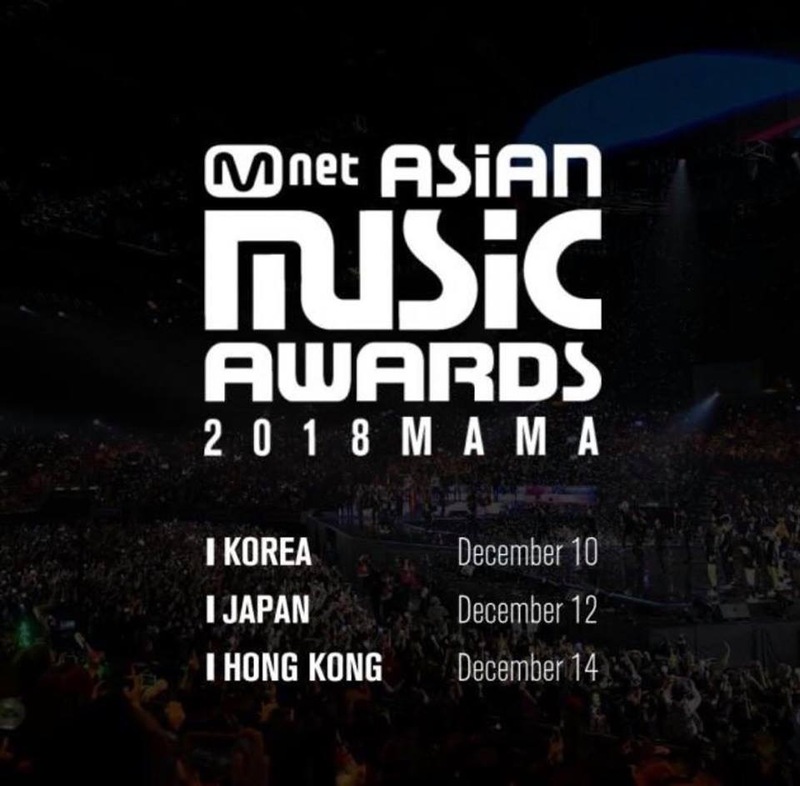 Organized and presented by CJ ENM, Asia’s biggest music awards MAMA has been started off in 1999 as “Mnet Music Video Awards” for more than 10 years supported by the Korean music industry. It has been developed and transformed to MAMA in 2009 and this year has come to its 10th awards ceremony. Being held in Macau in 2010 was a benchmark of MAMA’s first overseas achievement, since then it has been held in Singapore and Hong Kong. It was an astonishing attainment for the first ever MAMA to be held in three regions last year in Vietnam, Japan and Hong Kong. Not only has MAMA become a significant year-end music awards ceremony, it has developed into an extravagant international music event. It has also simultaneously created an international communication/crossover network for music exchange which made MAMA gained recognition in Asia’s music industry and its communication network.